Hi there, my darlings! 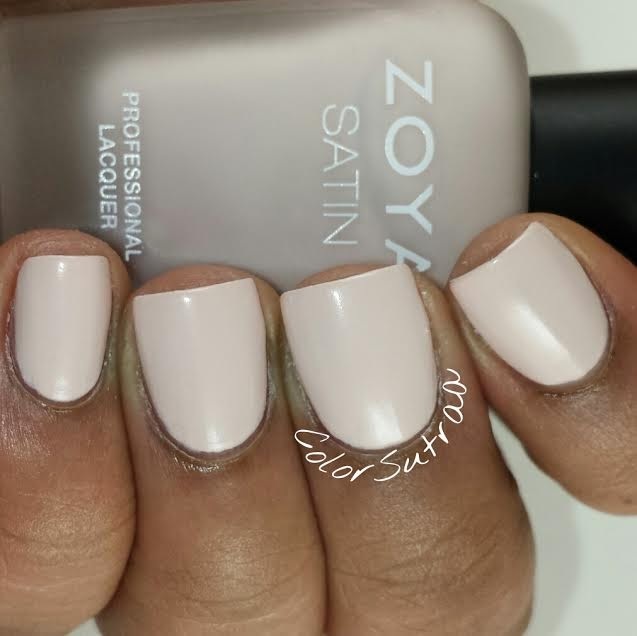 Today, I would like to share with you all my swatches of a collection that caught me off-guard with how pretty it turned out to be--Zoya Nail Polish and Treatment's Satins, the Transitional collection between Winter and Spring 2015! 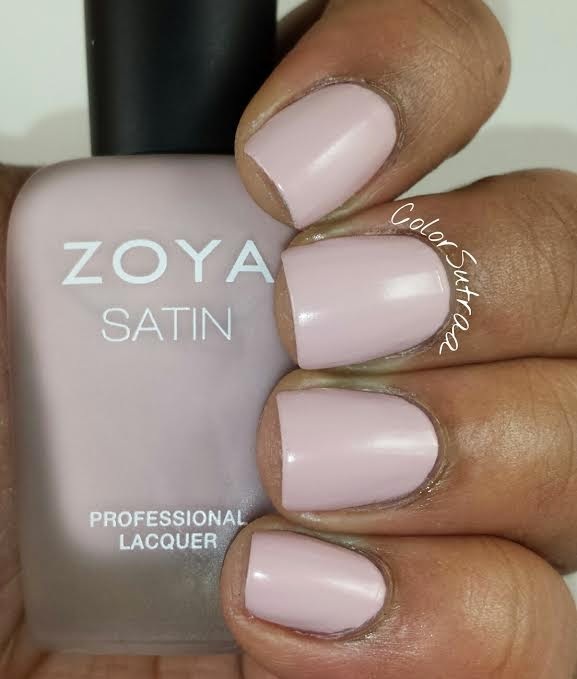 The Satins collection consists of 6 cremes with a formula that was touted as a "hybrid between matte and glossy polishes". 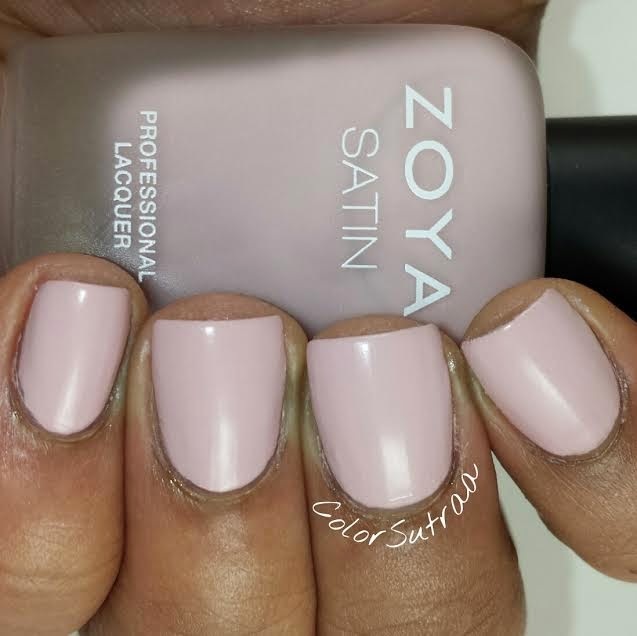 Across the board, I had absolutely loved the formula and application--although the first coat does tend to go on a little streaky, the polishes level out beautifully with subsequent coats! 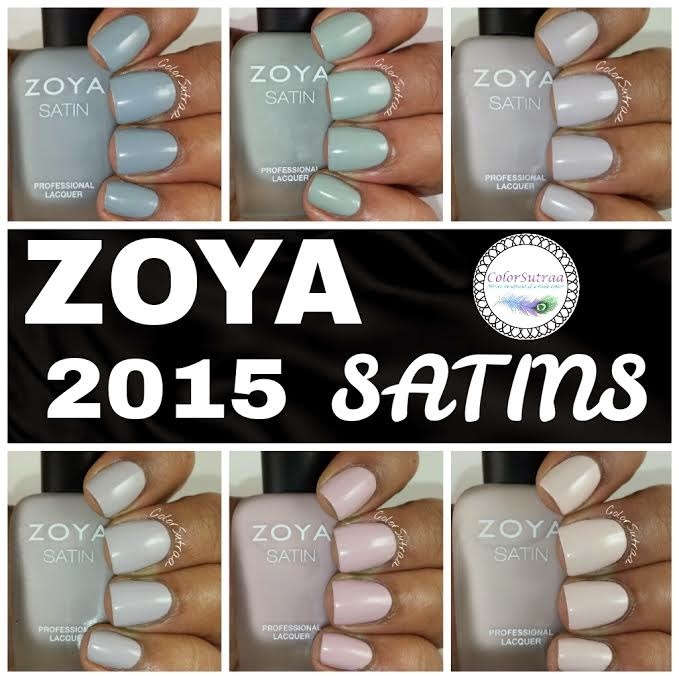 All the swatches below show 3 thin coats, for a glossy perfect finish, no topcoat OR basecoat necessary! Now, on to swatches! Ana is described as a "light toasted almond cream". 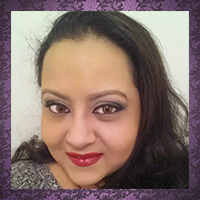 It wore as more of the perfect off-white on me and I love how it looks on my complexion! Brittany is described as "a rose mauve cream ". 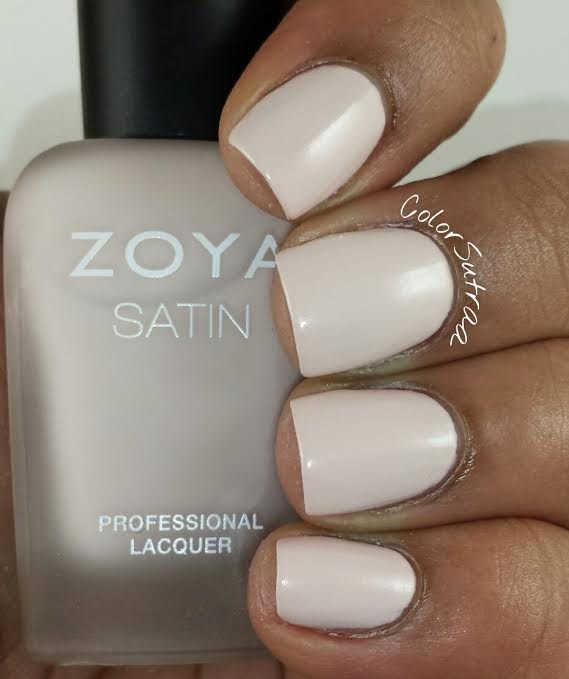 The touch of pink in this polish is just so beautiful! 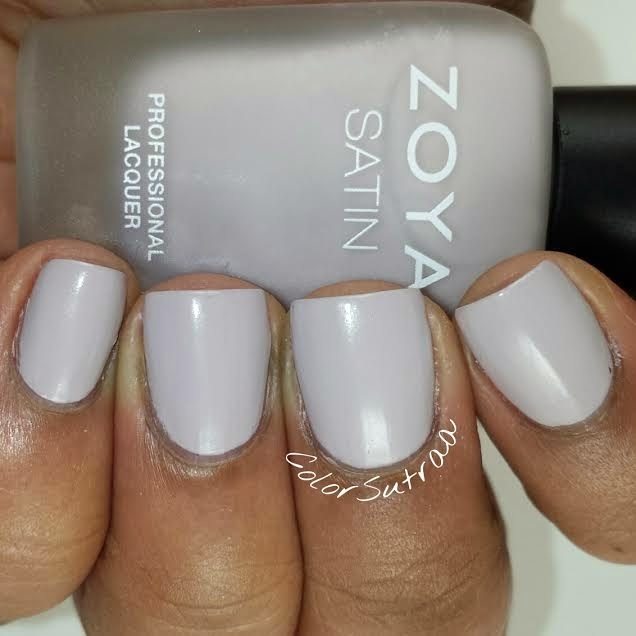 Leah is described as a "lavender tinged taupe cream". 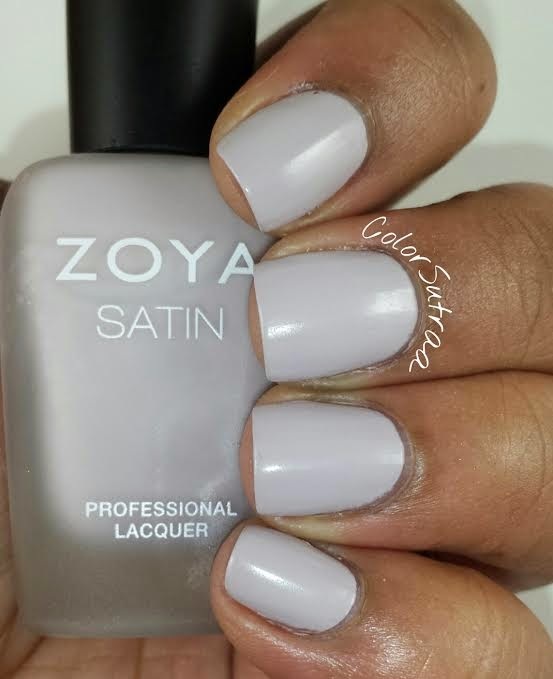 I absolutely love the hint of lavender in this polish! Rowan is described as a "suede taupe cream". 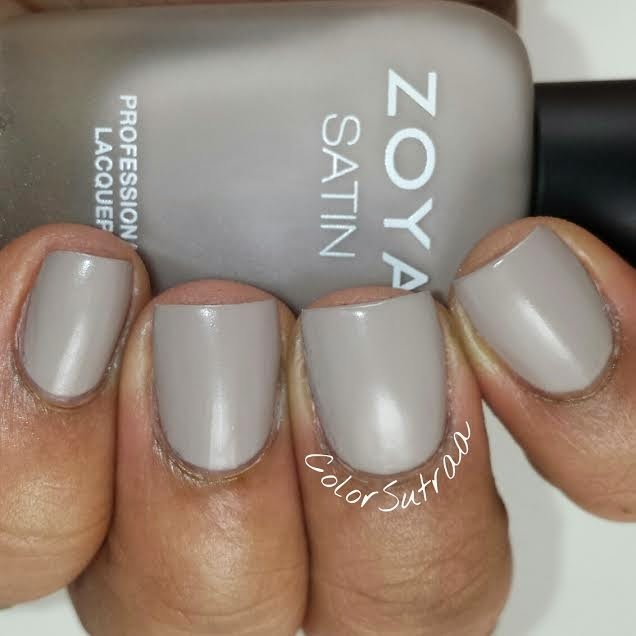 I know that many of you love taupes and this one is a perfect shade! 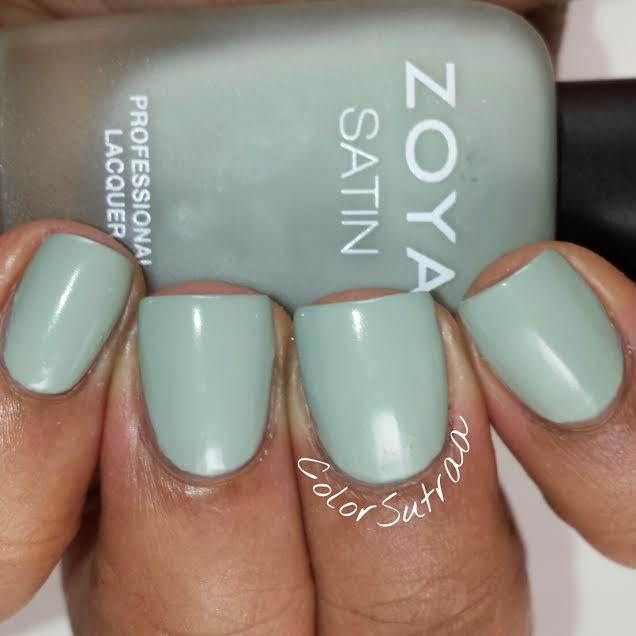 Sage is described as a "mossy sage green cream". 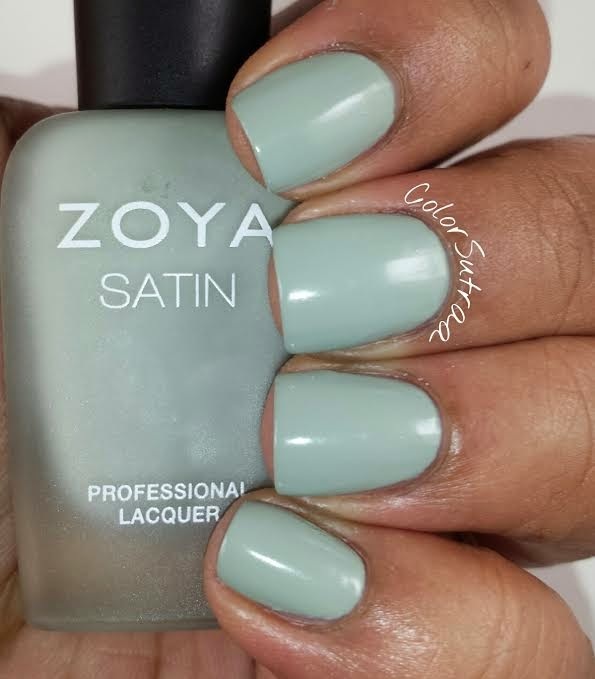 I never thought the day would come that I would love a green but Sage is just THAT pretty! 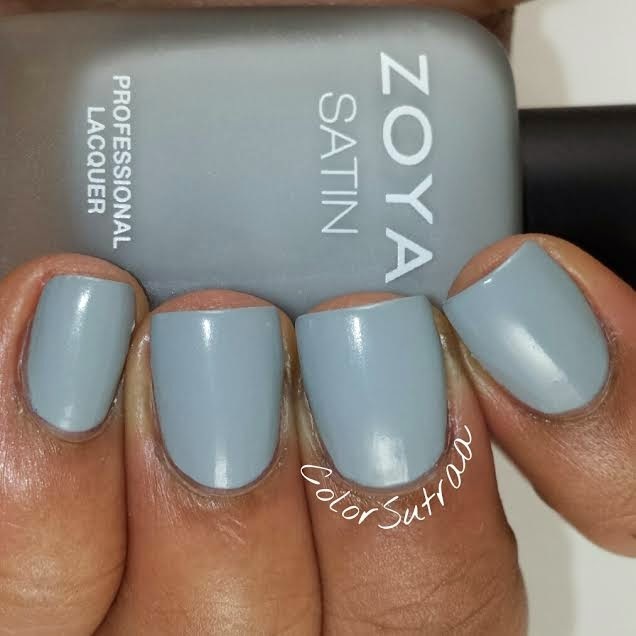 Tove is described as a "misty slate grey cream". 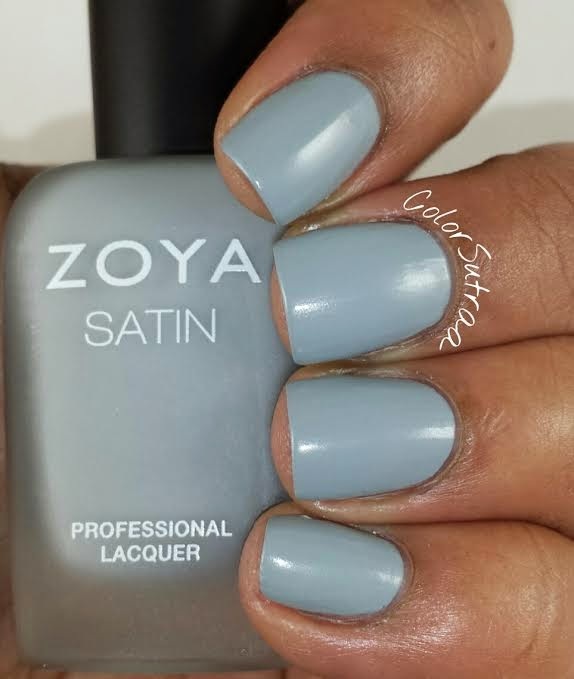 This is hands-down my favorite of the collection though--the slight blue undertone to this gray is to die for! Which of these are YOUR favorite(s)? I'd love to hear all about it in the comments section below!